The Regional Grand Masters Tournament was once again impeccably organised by Laurie Alcock at Cannock HC - only this time he had a full blown Over 65 Great Grand Masters division to add to the mix. As ever the whole weekend ran extremely smoothly and an excellent dinner was enjoyed by almost all those playing and their supporters at The Barns on the Saturday evening. Over 60 Grand Masters Division. The first day saw the East emerge as the only side to win both games, defeating the North 3-0 and the South 2-1. The South had also, surprisingly, been held to a 0-0 draw by the Midlands, who themselves had lost 1-2 to the West. As further indication of how close the teams are these days the West were held to a 1-1 draw by the North. All these results played very much into the hands of the East who were assured of the title if they could put on a good performance at 9.45 on Sunday morning and beat the West, which they did by a flattering 3-0. On a disappointing day the West also lost 3-1 to the South. 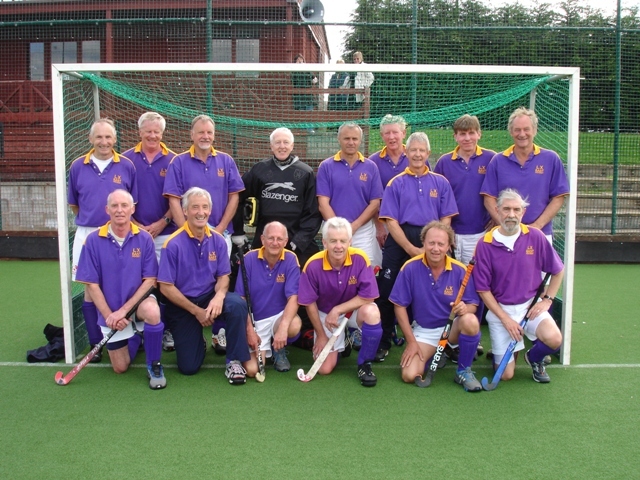 Meanwhile Jim Standish on his 75th birthday was given plenty of action in the North goal as they went down 5-0 to both the Midlands and South respectively. The East finally completed a clean sweep with a hard-fought 2-1 win over the Midlands, who had been the only team to beat them the previous year. This left East at the top of the table, followed by South, Midlands, West and North. Over 65 Great Grand Masters Division. 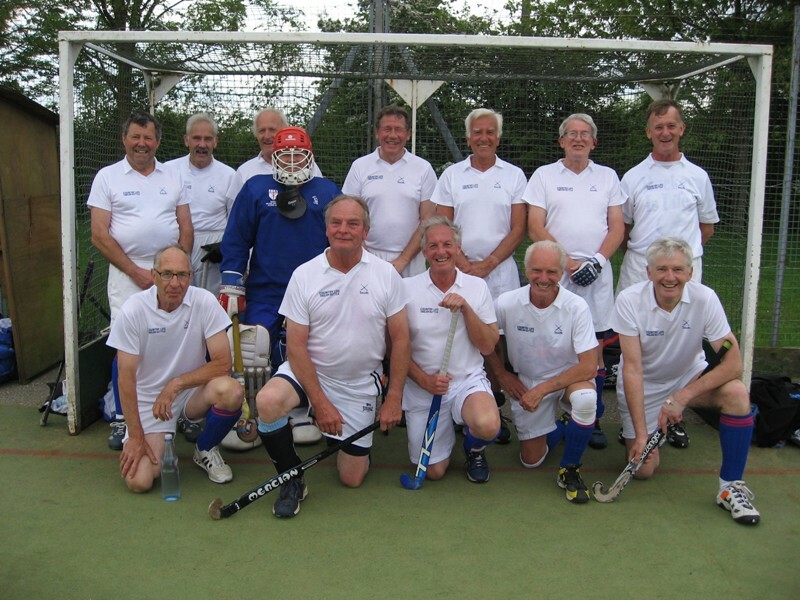 In the Over 65 division it was the South who had a clean sweep beating all three opponents - East, West and Midlands - by the same margin - 1-0. Midlands came second with a 1-0 win over East and 1-1 draw with West, while East managed to beat West 2-0 to avoid the Wooden Spoon.